You’ve seen the brochures of RVs parked along the banks of picturesque lakes, and wide smiling faces sticky with fire roasted s’mores. You probably know that RVing is a great way to explore national treasures while still enjoying all the comforts of home. See America mile-by-mile by day and sleep in your own bed each night! Stock up the fridge before you leave and you’ll have all your favorite nibbles wherever you roam. You’re probably already familiar with these great benefits of RVing, so we asked 5 families who are “RVing experts” exactly how RVing has benefited their families in unexpected ways...benefits that might be missed during a walk through a dealership. A note about these experts: they are all part of an organization called Fulltime Families, dedicated to young, working, full-time RVers. These experts have sold their homes and hit the road in search of a stronger bond with their children, a slower lifestyle... and, ultimately, the adventure of a lifetime. Unexpected Benefit #1: Less is more! Let’s face it, whether you’re heading out for the weekend, or launching on a summer-long cross country trip, there’s only so much stuff you can bring along in your limited space. 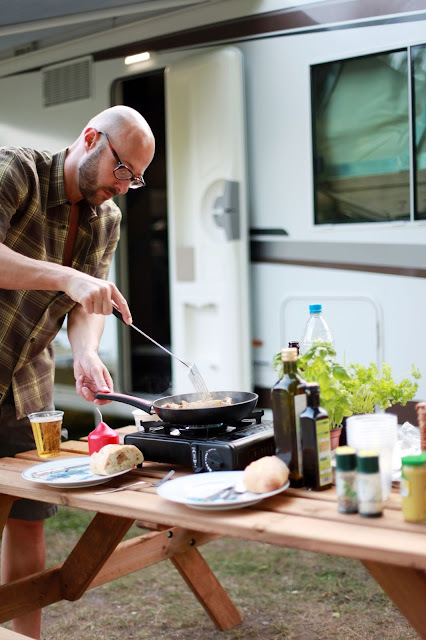 Somewhere in the midst of enjoying an evening campfire or an early morning pancake breakfast, you realize you actually have everything you truly need in your RV. You may start questioning why you even have all that “extra” stuff back home! Unexpected Benefit #2: Learning alongside your kids truly is the best way to learn. 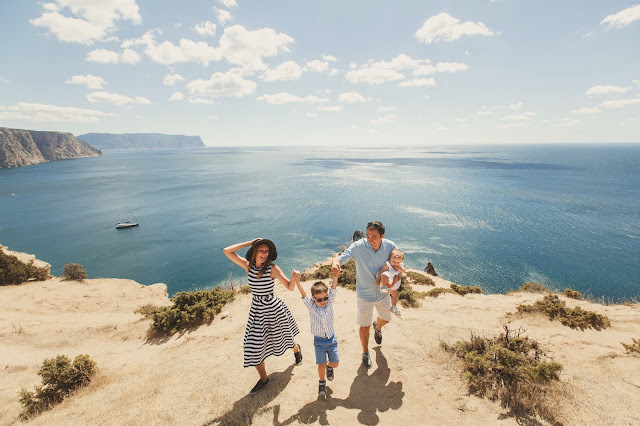 Summer vacation usually means that education is put on hold, but when you go RVing as a family, learning opportunities abound around every corner. How can you not talk Civil War history while picnicking at Gettysburg? How can you not discuss the wonders of creation while unearthing anemones in the tide pools along the Pacific? How can you resist pointing out the constellations while your eyes are raised to the heavens on those incomparably beautiful evenings? “You only need to think back to your own childhood to know the best lessons can be taught in pajamas, under a starry sky”. Unexpected Benefit #3: Leave your stress behind. Did you know there’s no room for anxiety in a hammock? How about that a campfire can melt your worries away? RVing is the antidote to the “busy” so many of us find ourselves stuck in. Instead of spending your weekend at your local home improvement store, drive your RV to your local soul improvement area (i.e., your favorite campground)and spend some time unwinding. 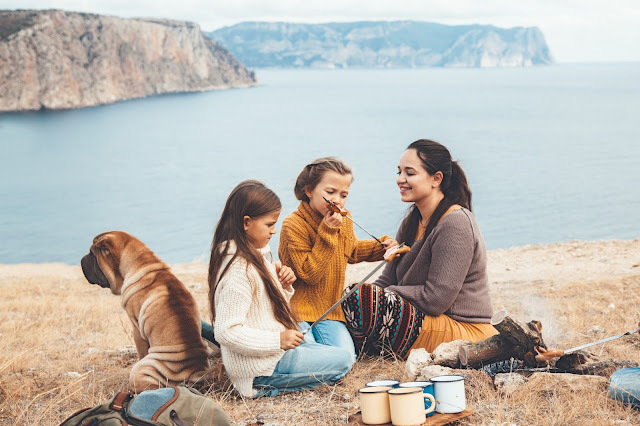 “Simplifying our life and living a simple life (TV’s have been replaced with board games, puzzles, music at meals, etc) as a family created a noticeable and surprising peace and calm for all of us,” says Eric Benson of RoamingWell.com. Unexpected Benefit #4: Have you tried to cook in a hotel room? Unexpected Benefit #5: Three cheers for new friends! If you’ve never gone RVing, then you may know the most important, most vital and most priceless unexpected benefit you’ll likely encounter are new friends! Remember that 1950s community your grandparents always tell stories about? Well, here’s a secret: it’s alive and well, recaptured in campgrounds across America. You’ll find lots of friendly folks enjoying the simple life as you stroll around the campground. Don’t be surprised if you’re invited to random campfires or if your children strike up friendships at the playground. 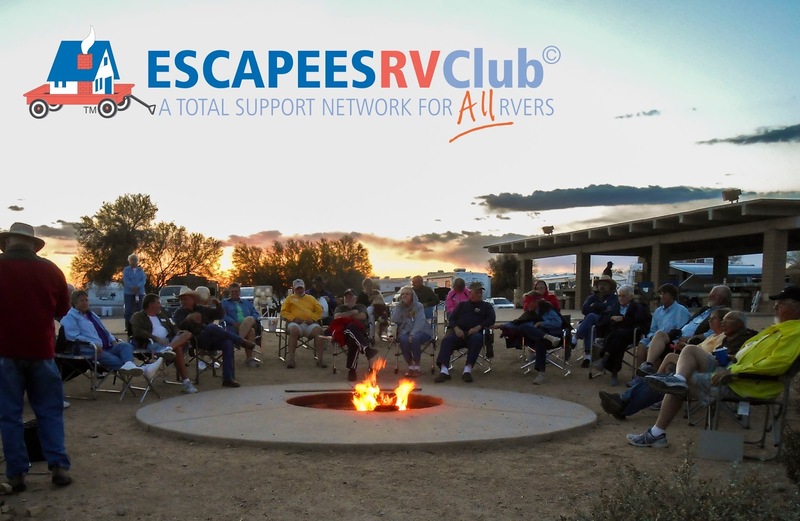 It’s common for campers to connect and make plans for future RVing adventures down the road! So, there you have it - the top 5 most unexpected benefits of RVing. We hope you find many more unexpected benefits as you and your family launch your own RV adventures! Isn’t it interesting that you need a specific license to drive a bus and certain kinds of trucks, but you can drive RVs right off the lot of the dealership? Isn’t it curious that the biggest RV fires can be caused by the improper maintenance of the tiniest wire? RV emergency preparedness and overall safety can be a little overwhelming and downright confusing at times. But with the proper resources, it is possible for you to feel like you have it all together... After all, the more prepared you are for incidents before they occur and the more trained you are to deal with potential issues, the less likely you are to be sidelined by mishaps on your vacation. Check out this list of some of our top-ranked resources, and your friends and family will call you the RV safety guru in no time. Full access to safety and education resources, including weight and load management, driving tips, towing safety, tire and accessory resources, and more. 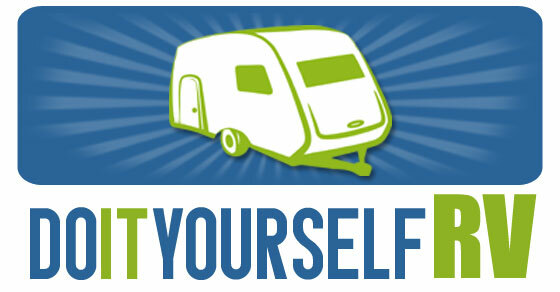 They also provide updates on recent RV model recalls, and give you access to a collection of valuable safety websites. 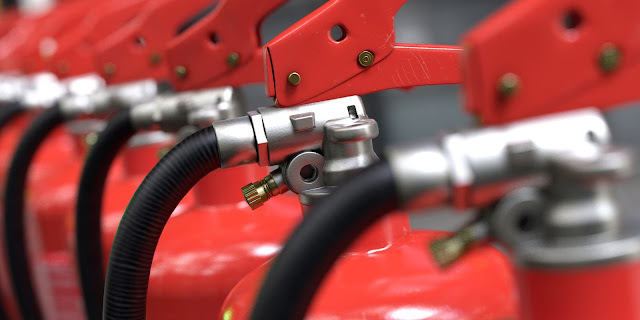 It’s been said that the hardest part about operating a fire extinguisher, for many people, is knowing how to maneuver it the first time you use it. But did you know there are 8 different types of extinguishers, all with specific, targeted purposes and functions? Don’t be left wondering if you bought the right one… you don’t want to find out when it’s too late. Use this guide to choose the right one, or even buy more than one to further prepare yourself for worst case scenarios before they appear. 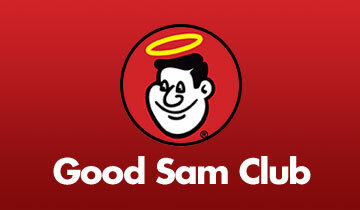 There’s a reason why so many RVers (and automobile drivers in general) use Good Sam’s services. Their Roadside Assistance program is ranked #1 on TopConsumerReviews.com, and the way they combine affordability with a thorough provision of resources is honestly incomparable. With towing and tire services, family and vehicle coverage, and on-staff techs available for dispatch, they’ve got everything you need to ensure you’re always taken care of during an emergency. And you won’t believe the price until you see it… talk about a great deal. Find out more about this top-ranked program now. Trouble figuring out where to look for the best technician for your RV? No problem. In this handy guide, DIY RV walks you through the best way to find a trusted and successful technician, no matter where in the country you are or what kind of issue you’re having. 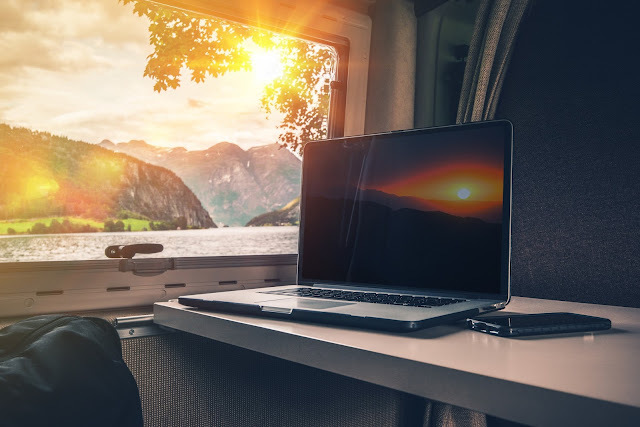 In this insightful article, you’ll find a list of some of the top questions to ask yourself if you really want to know whether your RV is truly ‘fire safe’ while on the road. They also provide you with an interesting guide to the most common causes of fires for different types of RVs - some of which may be surprising. There will come a point in time where, just like with everything else in life, you will have a question that websites and resources just don’t seem to have the answer for. Why not ask the larger community of RVers instead? On Motorhome Mag’s Open Roads forum, you can ask any question you’d like, broken out into tons of different categories. You’ll get honest answers from a caring and thoughtful community of RV owners, and will likely get the answers you need in no time. The purpose of RVSEF is to provide the RV community with professional advice and training resources so that RVers can enjoy their experience to the fullest. 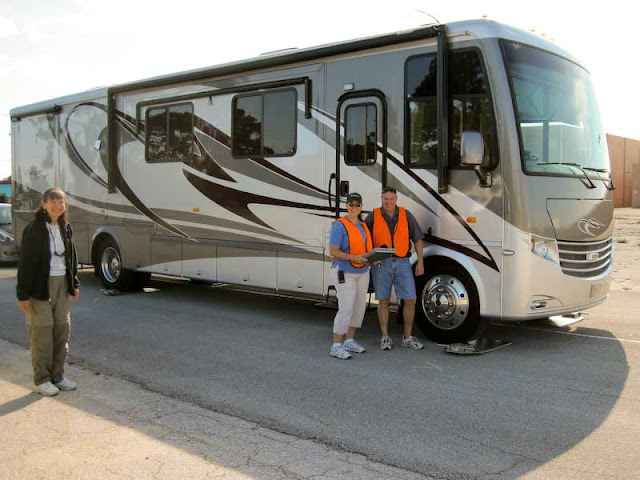 The group is endorsed by the Recreational Vehicle Industry Association (RVIA), with emphasis on “its unbiased focus solely on safety advocacy.” Countless resources can be found on the RVSEF website, but a few of our favorites are their printable list of emergency numbers, Driving Safety program (available both online and at some rallies), and their RV Weight and Tire Glossary. If you’re looking for the full package when it comes to RV safety training and preparation, look no further than RV Education 101. 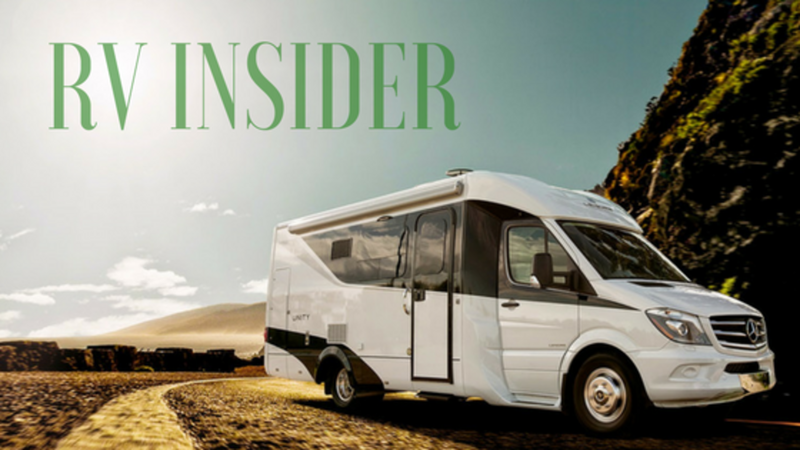 Just as their name claims, they are all about one thing: teaching RVers like you exactly what you need to know before you hit the road. The big winner here: they provide a full program called “RV University,” where educational videos, books, and more will give you all the information you’d ever need to RV safely. 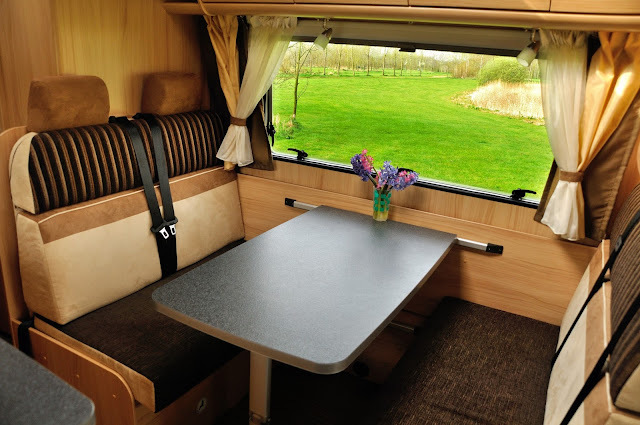 One of our top picks when it comes to their resources would be the “Learning RVs the Easy Way” program, which comes in both eBook and DVD format. It’s simple, to-the-point, and will still give you all the info you need to become a pro RVer in no time. 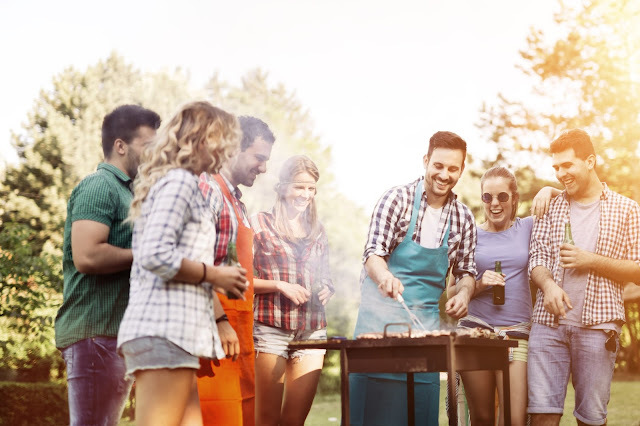 Summertime is the perfect time to enjoy countless outdoor activities, but we’ve found one pastime in particular has become hugely popular among RVers. No matter their age or gender, people who love to golf have been known to revolve entire vacations around places where they can head out onto the course for a game with family or friends. And there’s no catch - many of these “golfing RV resorts” actually have countless other traditional amenities as well - but simply center around challenging course setups with one-of-a-kind scenery. Bringing together the recommendations of numerous bloggers, golf magazines, and golfing RVers themselves, we’ve compiled a list of a few of the best destinations to plan an RV golf getaway as the summer winds down. Which one will you escape to? Part of the Encore family of resorts, this location boasts a championship course over 6,000 yards in size. Complete with an on-site ‘ProShop’ carrying countless name brand items, you can rest assured you’ll never be without the necessary clubs or equipment for a great day out on the course. The resort also provides its guests with access to other sports facilities as well, including tennis, basketball, volleyball, pickleball, and shuffleboard. Describing themselves as “the jewel of Palm Desert,” this destination truly is a gem hidden in the middle of the desert! With numerous luxury amenities (including a lagoon-style pool and putting course), there are several championship greens located just nearby the resort, making it a popular pick for golfers looking to try their hand at courses of various styles and challenges. A 55+ community, this resort’s website explains that they “pair world-class amenities with a vibrant social network of active, friendly adults.” Their par-three course has garnered great ratings on a number of travel websites, and that’s not all there is to do. With over 160 activities hosted on-site every week, you’ll always have a day full of experiences surrounded by outgoing and fun-loving neighbors. The resort has earned years of accolades from Good Sam Club for their well-kept facilities and always beautifully maintained greenery, and it may be one of the most well-manicured RV resort golf courses we’ve ever seen. You’ll never run out of things to do here, as the location hosts countless events throughout the year, including wine tastings, live music, and more. While a number of things make this resort stand out among others, it’s the ‘island green’ color of the courses that really caught our eye. Well-kept and in sharp contrast to the rocky terrain of the surrounding mountains, the views may just take your breath away. If you’re up for a challenge, this is definitely the place for you - water traps and bunkers keep you striving for an accurate shot. Oh, and did we mention this is an extremely popular spot to go stargazing at night? Nestled on the beautiful Hamilton Creek, this location’s 7,000 yard course gives pristine views of the Cascade Mountains, making for a picturesque tee time like no other. Rated by Good Sam as one of the top 50 RV Parks in the country for five years in a row, the destination even provides its visitors with the chance to try their hand (or foot, as we should say) at foot golf: a crossover between two beloved American pastimes. Check out the resort and consider an affordable Stay and Play package, one of the deals that makes this place a favorite for golfers all over the Pacific Northwest. Located just 20 minutes away from countless famed Orlando theme parks, this is a great place to visit whether you’re looking for a golf getaway or just a couple days at a course in this popular area. With activities ranging from line dancing to Texas Hold ‘Em card games and more, this is a great low-key environment for anyone looking for a laid-back escape from the everyday hustle and bustle. They even have a Tiki bar open during some times of the year, making for the ultimate Floridian RV golf getaway. Well...that’s one way to tow a pull-behind. We don’t know if this started as a bus or a tank, but now it’s definitely something unique. Used for what, we couldn’t tell you. but this might be the most extreme version we’ve ever seen. Looks like someone maybe got a little too carried away? Well, if you’re afraid of heights, we apologize for showing you this. this is honestly probably nicer inside than a lot of good-sized homes these days. 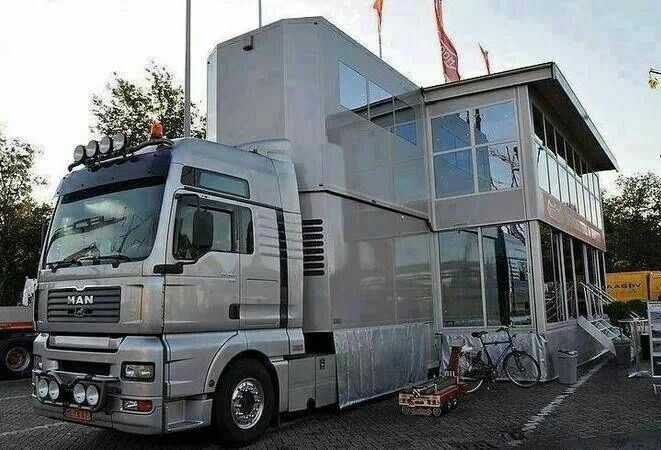 What do you think - the first ever RV? There’s a cow on top of this motorhome. We’re not sure why, but there is one. “If maintenance wasn’t an issue…” DIY RV honestly described this perfectly. A tiny RV for your junior campers? We’ve honestly never seen anything like this...at least one as realistic looking as this one. Would you buy it for your kids? ...at least it’s cutting down on carbon emissions and gas expenses, are we right? and a surprisingly nice display of thrown-away units, this might be one of the coolest ‘trailer park’ setups we’ve seen in a long time.